How often should the Academy award bad movies? And no – not Forrest Gump, Titanic, Avatar… I mean REALLY bad movies. More Ranting: Bond 24 makes a bad casting move? The quality of a movie is normally synonymous with the quality of direction, writing, maybe even performances… But Editing? Visual effects? Makeup? Example: Why is it that William Goldenberg had to wait till 2012 to win for editing Argo, rather than being praised for National Treasure in 2004? The answer: one of those movies was loved by critics. Categories aren’t judged on the basis of their representation in a movie, but are consciously and subconsciously subjected to bias based on the quality of the movie as a whole. At the 2014 ceremony, Best Makeup and Hairstyling went to Adruitha Lee and Robin Mathews for Dallas Buyers Club. A great movie, with some wonderful hair and makeup to portray severe illness and degeneration. 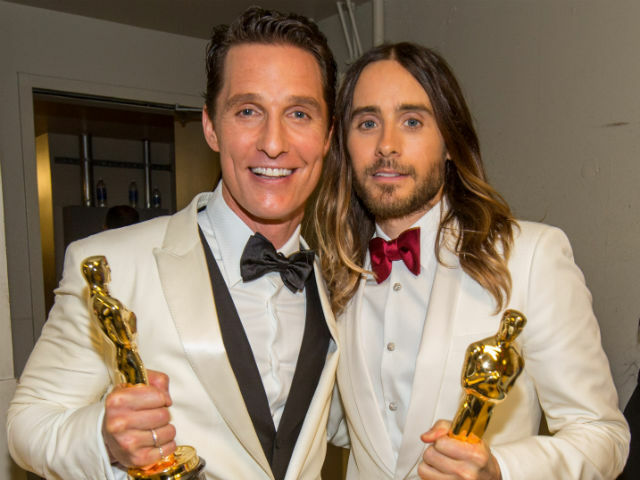 But how much of this award was down to the weight loss of Matthew McConaughey and Jared Leto? Don’t forget, they were both winners in their respective actor categories. What about the quality of the movie as a whole, did that have anything to do with it? Is it a coincidence that the winner of this category was critically praised, while the two losers were Jackass: Bad Grandpa and The Lone Ranger; critically destroyed? Now, this isn’t an attack on Dallas Buyers Club. It’s an attack on The Academy. Why hadn’t Robin Matthews previously won for her work on The Twilight Saga? Again, not universally praised – but who can deny that those paper-white vampires looked perfect? Maybe it’s something to just accept? Or maybe Best Makeup at the 2015 Academy Awards should go to Maleficent, for example. Because Angelina Jolie looked really evil. @MovieMasticator on Twitter, or Our Facebook Page! Stared into the wormhole that is Interstellar and found a lot of plot-holes hiding down there? Or maybe you are just confused that a wormhole is an actual scientific thing and not something in your garden? Interstellar certainly isn’t an easy ride for the regular movie-goer used to airy blockbusters with no narrative nutrition (Read the review HERE!). It leaves a lot of questions whizzing round your head as the credits whizz up the (IMAX?) screen. 5. Why did Matt Damon want to kill Cooper? Matt Damon took a strange route to getting off his planet. He decided to lie to his visitors for a day or two before taking Cooper to a precipice and cracking his helmet, all so he can take the ship to safety. Nice one Matt, you ended up exploding the ship, yourself, and in the process making sure no one can get home. Thanks. 4. Why did Cooper choose to knock the books in exactly the same way when in the 5th dimension? Because he’d already done it. Yes but the younger Cooper had already seen the older Cooper knock the books so it had to happen the same. No. Please no. My brain is hurting. 3. Why did the tractors move at the beginning of the film? The books fell off the shelf because Cooper was in a black hole pushing them, but why did the tractors move by themselves? Did Cooper fancy pushing a few tractors from his infinite 5th dimension? It wouldn’t be a 5-minute job communicating the most complex quantum theory ever devised by mankind via not only morse-code, but morse-code translated from the flicking second-hand of a wrist-watch. Surely old Murph must have stopped herself about 3 months in and questioned her sanity, hunched over an old, dusty clock. 1. How did Cooper fall into a black hole and survive? Apparently the temperature surrounding a black hole can be hundreds of millions of degrees. But he just did ok?! It’s Matthew McConaughey – who’s gonna argue with him? Not me. Got the answers to any of these conundrums? Let us know on Twitter via @MovieMasticator, or Our Facebook Page! Interstellar has finally arrived and it is exploding our brains, or at least our eardrums. Read the Interstellar Movie Review HERE! Sporting Director Christopher Nolan’s trademark style of epic tales told from personal perspectives, the movie seems a natural companion piece to Inception. Michael Caine in Interstellar (left) and Inception (right). In Interstellar Michael Caine plays Amelia’s father and Cooper’s ex-professor at NASA. In Inception Michael Caine plays Cobb’s father and is also professor, shown above at the front of a lecture hall. We touched upon Nolan’s Caine obsession in 10 Reasons You Should Be Even More Excited About Interstellar! Cooper and Amelia in Interstellar (left), Cobb and Ariadne in Inception (right). In Interstellar the main character is Cooper (Matthew McConaughey) and his sidekick is Amelia (Anne Hathaway). The plot is anchored by Cooper’s desperate relationship with his daughter, Murph (Jessica Chastain). In Inception the main character is Cobb (Leonardo DiCaprio) and his sidekick is Ariadne (Ellen Page). The plot is anchored by Cobb’s splintered relationship with his dead wife Mal (Marion Cotillard). In Interstellar, Cooper and Amelia visit a planet so close to a black hole that time is contracted, meaning every few minutes they spend on the planet there are decades simultaneously passing on earth. Upon re-entry to the orbiting shuttle, they meet their now-elderly crew member who had been waiting for their return for 27 years. In Inception our protagonists have the freedom of time as they burrow deeper into lower levels of dreaming. The lowest level – ‘limbo’ – allows you to spend lifetimes down there while only a minute passes here in reality. In Interstellar, Cooper wakes up to find himself on Earth. But is it Earth? There’s green grass, a baseball game… Oh wait. The land is twisting upon itself like a goddam curl of hair. 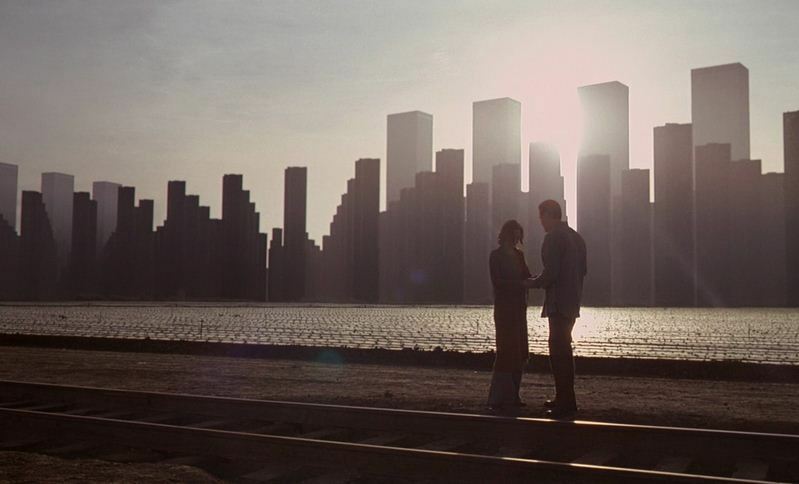 In Inception, Cobb shows Ariadne the world he built with his wife in ‘limbo’. There are buildings, there is ocean, he has a home – but it all seems a little bit different. More DEPRESSING. In Interstellar, Cooper is literally trapped in a black hole. There seems absolutely no way out, not even by fiddling with a little watch across space and time. Has Nolan written himself into a corner (or an infinite 5th dimension)? No. Cooper wakes up minutes later in a hospital bed, absolutely fine. Problem solved. Is IMAX worth it? Read the Interstellar IMAX Review HERE! Is this Interstellar or Inception? I can’t tell. Twitter @MovieMasticator, or Our Facebook Page.